I’ve reached a bit of a crisis point with my eating this week. The sudden onset of hot weather brought home the reality of my weight gain when I found it a struggle to find any summer clothes I could fit in to. I still want to find a way to lose weight without dieting, but I need to be a bit more dedicated. I need to stick to my meal plans, cut down on my snacking, and control my urges for chocolate and sweet things. I need to work out the most healthy eating choices at my work canteen, and try to avoid giving in to temptation. I’ve been too relaxed about the whole thing, and I’m hoping the desire to fit into my clothes will prove the motivator that I need. We’ve got a busy week ahead. Tuesday is the geekdaddy’s “spa day“, and I don;t know how long that will take or what state he’ll be in afterwards. My Mum is coming to look after the kids so that I can drive him to and from the doctor’s, although he is a little freaked out about me sitting and waiting for him. We’ve also got the excitement of the Olympic torch passing through our area on Thursday, and I’m going to keep the geekdaughter off nursery to take her to see it. I’m not sure how easy it will be to get in to and out of our local town, and as the torch is passing through close to lunchtime I’m expecting to end up eating out that day. Then at the weekend I’m taking the geekdaughter in to Manchester to see her first ballet – we’re going to an 11am show, so again will probably stay and grab lunch somewhere near the theatre before heading home. I have a couple of meals in the freezer at the moment, so if our plans don’t work out the way I think they will at the moment, I have some options as a contingency plan! You can find more Meal Planning Monday posts over at At Home with Mrs M – why not head over there and see what other people are eating this week? 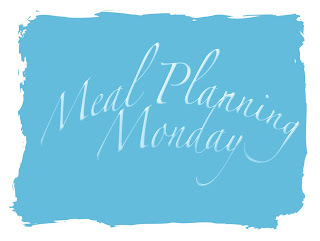 Meal Planning Monday 06/08/2012 – I’m back! I have these things instead of other snacks (e.g. cake, biscuits, Mars Bar, dorritos). I can’t give up snacks altogether but it is possible to opt for ‘healthier’ options without having to stick to carrot sticks. Sounds lovely – good luck to geek daddy!